When you’re suffering from a whiplash injury, your symptoms can range from mild to severe pain, and you can easily sustain whiplash from an accident as small as falling or as serious as a car accident. The symptoms associated with whiplash vary from patient to patient, and that makes identifying whiplash difficult. However, at St. Paul Chiropractic and Natural Medicine Center, treating your whiplash injuries is simple. Our St. Paul, Minnesota natural doctors, chiropractors, and massage therapists have years of experience helping patients just like you recover from whiplash. One of the most common causes of whiplash is auto accidents, and yet whiplash symptoms are often overlooked following an accident. Many patients have sore necks or backs following a car accident, but they simply ignore their pain, hoping it will go away on its own. But what about when you can’t ignore it – when you’ve suffered for weeks or months without feeling better? Rather than ignoring your body’s warning signs and suffering through the pain, if you’ve been in a car accident recently, or even if you’ve just taken a fall, and your neck, back, or arms are in any pain, don’t wait to get help. 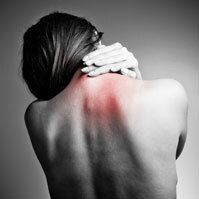 Come to our center, and find the natural whiplash pain relief your body has been begging you for. What many people don’t realize when they’ve suffered a whiplash injury during a car accident is that Minnesota is a no-fault state. This means that your car insurance will cover the costs of relieving any pain caused by your accident. We see plenty of patients who come to us after weeks of hoping their injuries would heal because they thought that their medical insurance wouldn’t cover our services. But if you have car insurance, you’re covered. Whatever your insurance provider, we’ll make sure that you get exactly the treatment you need to get back on the road to healthy living without having to worry about chronic neck pain or constant back aches. Stop trying to ignore your pain, and leave your days of silent suffering behind. Whether you’ve recently been in a car accident or you’re suffering from whiplash caused by something less severe, your pain can be excruciating either way. Come to St. Paul Chiropractic and Natural Medicine Center, and see for yourself what our natural doctors, chiropractors, and massage therapists can do to relieve whiplash pain. At our center, your health and well-being are our top priorities, and we’ll work to prove that to you every day you’re with us. Call us today at 651-644-7207, or send an email to info@stpaulnaturalhealth.com to find out how we can help you put an end to your whiplash pain and help you go back to living your life normally.